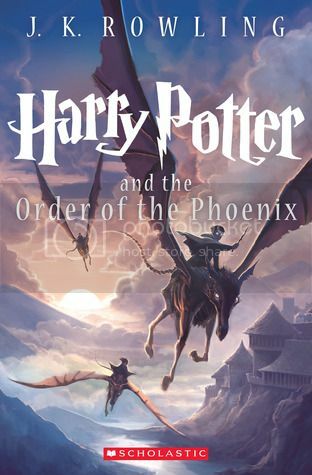 Moving along in my Harry Potter re-readathon, I was super excited to start Harry Potter and the Order of the Phoenix! I listened to the audiobook for Order of the Phoenix in the past, but unfortunately, I don't remember much from it. But I'm ok with that, because it's almost like getting to read the series from the beginning again! Harry Potter continues to amaze me more and more as this series goes along. As do Ron and Hermione. I was not nearly as clever as these kids were when I was their age, and there's no way I could have made it through some of the things they went through. But their friendship is everything, and I'm so glad that they have each other. I love seeing my favorite characters from the past return in this story. Professor Mcgonagall, Hagrid, and Dumbledore will forever be some of my favorite characters, and I especially enjoyed seeing Siruis and Lupin again as well. And like with most books in the series, in Order of the Phoenix, we are introduced to a lot of interesting new characters. I absolutely adore Luna Lovegood, Tonks and Grawp. They are all awesome. There is, however, one character in this story, who I know you'll know who I'm talking about before I even say the name, that made me rage so many times!! I don't think I've EVER hated a character so much as I hated Delores Umbridge. Oh my, this woman was pure evil, and I can totally see why so many people hate her. The storyline for this book felt a lot darker than any of the previous books, and to be honest, it was hard to read at times. So much anger in so many people. Which, of course, was completely justifiable. I was SO angry as well. I did love that we got some answers along with the story, and a lot of things are starting to make better sense now. Can I also add that this book was massive? Coming in at 800+ pages, I was really worried that it was going to take a while to read, but I managed to read the bulk of it in one weekend, and I'm surprised that the time flew by so quickly while I was reading! Overall; I didn't remember much from when I read Harry Potter and the Order of the Phoenix the first time, so rereading this book was a great refresher. 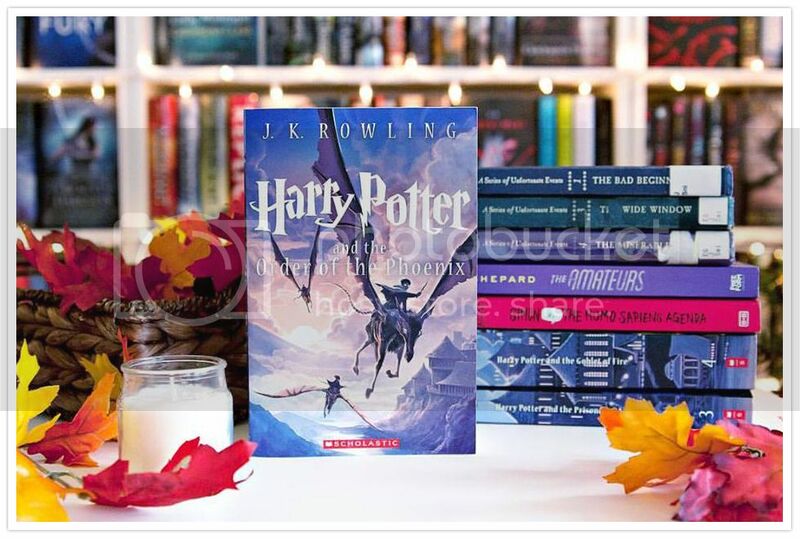 I'm enjoying this series so much, and I really can't wait to get started on Harry Potter and the Half-Blood Prince, which I have NOT read before!